There’s no ‘one-size-fits-all’ approach to passengers. Tastes and needs vary from passenger to passenger, from the adventure traveler to the luxury traveler – how can airlines cater to all of them? That’s where SPIRIANT comes in. We look at the typical (and highly important) demographics such as age, gender and geographical location, but we also analyze the psychographics of the personas in customer segments. That’s why we’ve created three new lines of branded amenity kits that appeal to different aspects of human nature, helping airlines cater to different human preferences and behaviors. 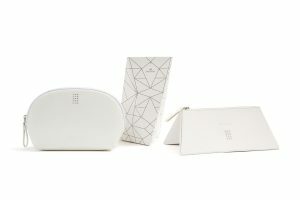 This is a line for airlines that want to offer passengers a unique and surprising amenity kit that pushes the usual boundaries. Focused on shapes, prints and inner items that stray from the norm, this line is for travelers who appreciate the quirky things in life. Expect an array of new brand collaborations including Swedish Tangent, a brand who offers eco-friendly garment care, extending the lifespan of shoes and clothing. Honey Corn cosmetics also featured in this line uses high quality Manuka Honey as the essential ingredient. This line is geared for the traveler who enjoys the finer things in life and for airlines who are focused on emulating a prestigious brand with premium quality products. In this collection you’ll find brands such as renowned Swarovski with unusual geometric shaped bags and Master of Mayfair with luxury sleep masks made with padded breathable cotton for comfort, organic bamboo silk to cool the eyes and essential lavender oils to aid relaxation. These kits are focused on brand collaborations that appeal to the traveler who is curious about the world. With creative flair, this line is geared towards airlines that want to offer a modern and surprising travel experience. 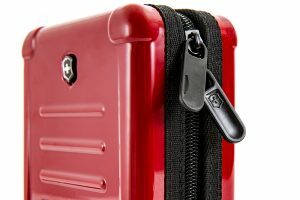 Expect brands such as Victorinox, renowned for the creation of the Swiss Army knife – their new stylish hard case kit is one passengers will long to take home. AHAVA cosmetics bring high mineral mud from the Dead Sea into cosmetics in celebration of tradition and natural care. To find out more about our new amenity kit brand collaborations, visit our stand at WTCE (booth 1E20, hall A1)!